When you work for Halo, not only are you part of a team that will support you to be the best but you are part of a movement helping your community. How’s that? Well, Halo is a social enterprise. That means we care about the people and places we live and work in. Every penny we make goes into those communities to help people live healthy and active lives. We are particularly interested in supporting people in the community who face barriers and where accessing fitness is not as easy as it is for others. So that means helping people who are vulnerable or feel isolated, people with disabilities, people who experience illness with their physical or mental health. Helping those who find it hard due to caring for a family member, studying and school commitments or becoming new parents. We offer discounts to local organisations like the NHS, emergency services, councils and local companies and groups who help to make our communities. So when you work for Halo, you are also helping to give back to your community. And, we also care about you. You get great training and support with an employer that can be flexible to your life and career too. Halo is committed to offering local people recruitment, apprentice and volunteering opportunities. When we do well - we all do well. Here are just some of the ways we support the community. But we would like more! People volunteer for a variety of reasons: because they are passionate about their particular sport and want to encourage others to try it, or are interested in a career in the leisure sector and are using volunteering to get experience. “After finishing my degree in marketing, I realised the rising importance of work experience within such a competitive job market, as most of the employees are looking for staff with at least a few years experience. 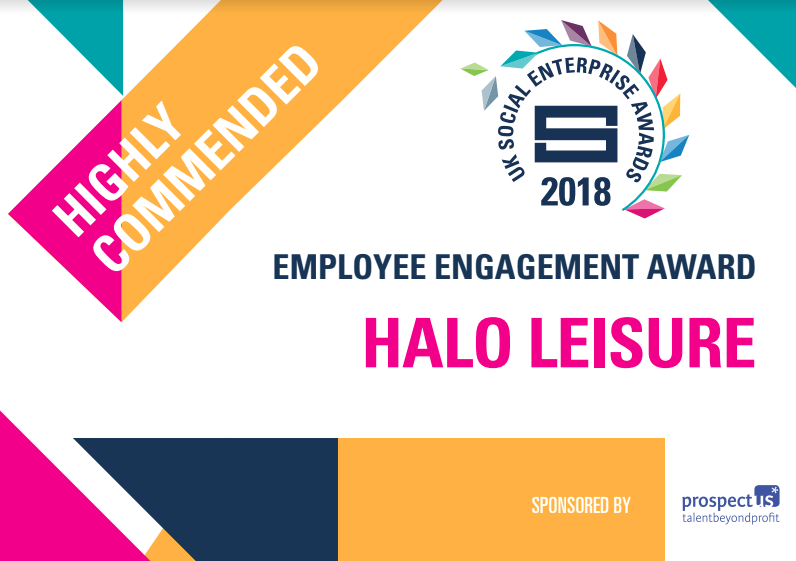 Halo Leisure gave me an opportunity to gain that experience and a greater understanding of my chosen field”. Whatever your reason for getting involved; we would love to hear from you. Volunteers will be provided with necessary training, great support from our friendly staff and supervised by a Volunteer Champion. Previous volunteering experience is not essential. Contact the General Manager or Volunteer Champion at the Halo Centre you want to volunteer at. Download the application form here or for a version in Welsh please click here. Halo – who, what, where and when? The annual report below will give you an essence of what we’re all about and why we are a company to get involved with. 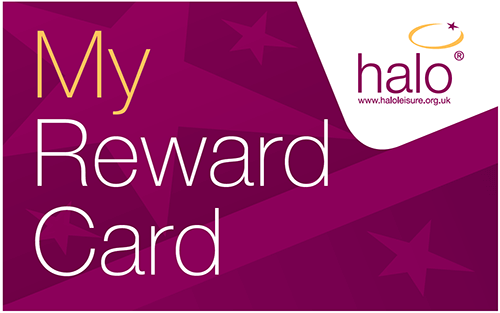 A free Complete Membership for yourself - to work out and wind down at any Halo centre. £10 per month Complete Membership for partners*. £10 per month Complete Membership per child (under 18) of employee*. £10 per month Course Direct Debit per child of employee*. 25% discount on Complete Committed Membership (and enrolment fee) for other family members*. 25% off birthday parties for children of employees*. 25% off entire bill on all Halo cafe purchases. 10% off all other retail goods sold in Halo. Option of Halo Pension Scheme. Cycle to work scheme through Cycle Solutions. Access to a range of family friendly leave policies. Occupational health and well being services. 25% off Complete Membership & Course Direct Debit for children and step children not resident at the same address. * Living at the same address. “I completed my Leisure Operations Level 2 Apprenticeship last year at Hereford Leisure Pool and am now working as a lifeguard (and doing level 2 swimming teaching) to add to my credentials. This has opened up a future in the leisure industry. It’s brilliant stuff.” Connor Fox, 19. “I’m doing fitness and lifeguard training as part of my apprenticeship at Ynysawdre Swimming Pool in Bridgend. This is something I’ve always wanted to do! It’s so much fun - different every day.” Megan Barron, 18. “I’m doing a Lifeguard Apprenticeship and am really enjoying it, especially being part of a strong, friendly team here at Pencoed Swimming Pool in Bridgend. This will give me a qualification I can take with me anywhere.” Michael Lawes, 23.